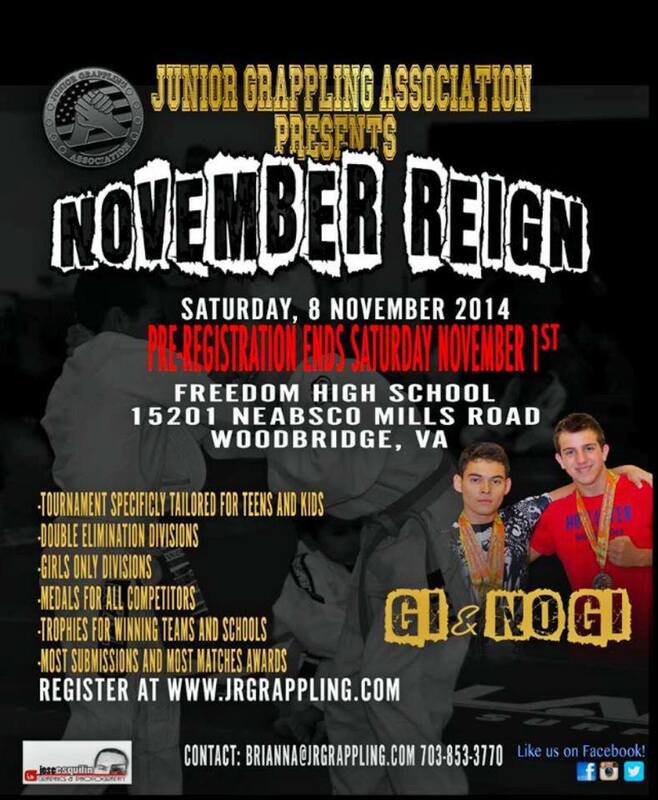 The date is set for November 8th 2014 at Freedom High School, SAVE the DATE! We are now taking registrations! Get signed up NLT 1 November 2014. Click on the Flyer to get registered today. Remember to download and print out the Release Form. A parent / guardian must sign this in order for the child / teen to compete. Copyright © 2019 Junior Grappling Association. All Rights Reserved.